Hello from TN ! 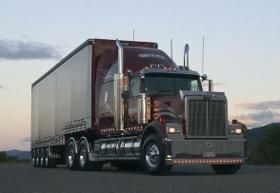 Newbie starting CDL Class Soon...... Overwhelmed ! Newb from Murfreesboro, TN checking in. After much thought and consideration, I've decided to get a CDL-A and go for my 3rd Retirement. I am a Retired USAF TSgt. Served 1983 - 2003. As was a 4T071 (Medical Lab Tech). I go on with the VA after the USAF until Retiring "early" there the past August. Anyways, I'm as green as you were when you were a Newbie and researching the ends of the internet all about the Trucking industry. I start class this coming Monday in pursuit of obtaining a CDL-A. My career goal (at this point) is to eventually get a Local/Dedicated job. At this stage of my life, I'm not real keen on running a ton of miles OTR. Family reasons really. I'll do what I have to do though. Any and all advice you can shovel my way would be more than appreciated.